GTA 5 Online – GTA 5 Tips and Tricks – Cheats do not work in Grand Theft Auto Online, so if you want to dominate in multiplayer GTA V, best read up on the hints and tips we’ve compiled below. If you have any tips of your own, feel free to send them in! You need to create an invite-only gaming session. Head to any store and rob it. Punch the clerk in the face, they’ll run off and take all the cash in the register. You can also do it if you are a lower level and get invited by someone of course. Just use sticky bombs instead of the grenade launcher and kill any survivors with a rifle.Follow our $18K Per Minute hint to get up to level 75 ASAP. Your GTA Online character has one “action” command available for you to assign and which can be activated by clicking both of the analogue sticks in (L3 + R3). To set it, go to the interaction menu. Available actions include, eating snacks, flipping the bird and dancing. Probably most useful is the eat snack one – very handy if you’ve stocked up on candy bars and are in the middle of a gunfight! Here’s a helpful hint – if you press down on your digital pad twice then a large version of the minimap will be bought up. This can be useful in lots of situations, however, is best used during cop chases. Check where the police are located, anticipate where they’re going and then attempt to evade them accordingly. While you are in cover, press the left analogue stick upwards and the target reticule will appear. Alternatively, if you’re at the “edge” of some cover, press left or right as appropriate. You are able to select who you want to be killed (ie place a bounty) once you reach level 10 in GTA Online. It’s done via Lester. There’s also another one that spawns in the construction area south of Blaine County. Enjoy the GTA 5 Online Guide, Tips and Tricks. 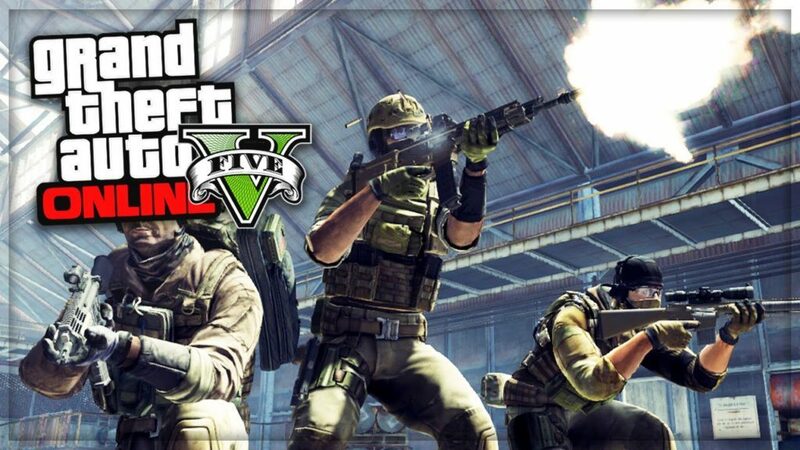 GTA 5 Online Guide, tips and Tricks help you to find best of gaming experience of GTA 5 online Game.